Cemco Major > Cemco major switches, Liquid level controls(headswitches),indicators,(float switches) tank level sensors and any other measurement equipment needs. You can count on us to answer our phones. When you call McKinney Measurement will help you customize your Liquid Level Control with correct scales, valves, fittings & accessories needed to do your job well, in the oil & gas, measurement & control industry. So for all your Cemco major switch, or Liquid level control needs rely on our friendly, professional, and experienced staff to help you. We offer great prices & inventory on Cemco major switches and Indicators and Neodyne pressure and Temperature switches. For Gas Measurement we also, proudly carry all color pens, and pressures of charts for your Barton meters and Recorder needs. Call us and we will build a Cemco major switch to fit your needs. 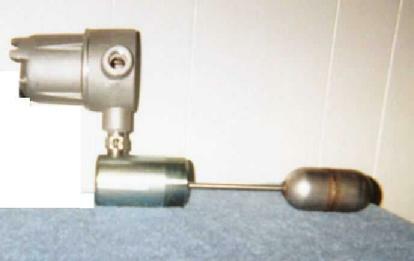 (threaded or Vic, Epoxy coated, multiple switches, 2 wire/4 wire, complete with drain valve & clamp if needed). Please continue on to the rest of our website, where you will find other information about our stock. If you have questions or need help with any of our Cemco major switches, please feel free to give us a call, we will be more than happy to help you.